There are sizing recommendations and advice in the descriptions for each design. 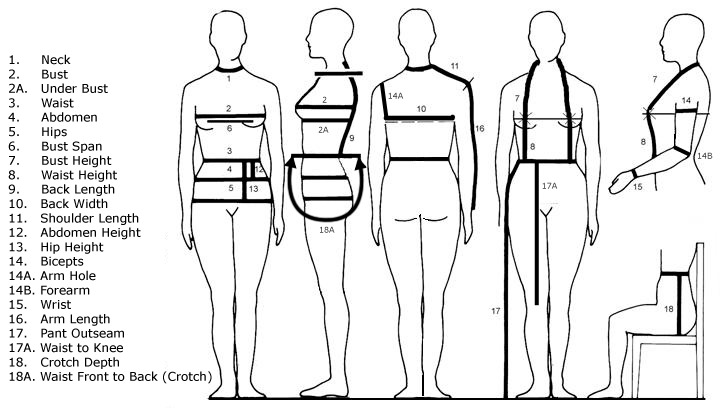 Below our size guide is a general body shape chart for reference plus a body measurement chart to offer guidance, if needed. If you have referred to the size guide, read the recommendations and advice with each listing and still concerned about the fit of a design, contact with email hello@undertheroot.com or use the contact form and include your measurements, the design(s) you have your eyespy on, and questions regarding your specific concerns. Our production and design house is modest, which makes custom sizing an attainable branch to your desire. It is a wallop of gratitude to assist you. All body types are unique and it is an honor to have your visit with us Under The Root. Do not hold your breath when you take your measurements, stand relaxed. Hold your measuring device gently but firm, enough to rest happily around the body area. It is not unheard of to lay flat your most cherished items of apparel and take those same measurements to compare with your body measurements.. and witness the correlation.